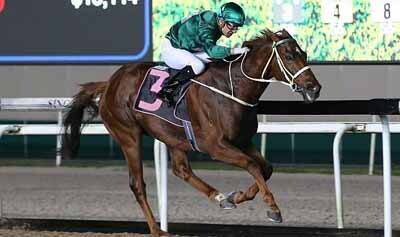 MCGREGOR made up for the disappointment of not getting an invite to the Korea Cup in Seoul next week but winning the Kranji Stakes B event over 1600m at Kranji here tonight. The Magic Albert gelding has been fairly consistent this season without winning but with Vlad Duric riding him for the first time today, the eight-year-old bounced back to form to win easily by 1 1/2 lengths. It was the seventh win in 39 starts for MCGREGOR who initially landed in Malaysia but never raced there before coming to Singapore. "He’s been knocking on the door. Tonight, he got the box-seat and everything went well for him,” said current trainer Michael Clements. "We did consider him for the Korean races, but I’ve not really prepped him up for that. We were waiting for an invitation, and it didn’t come through."